Hey guys! Fall is here, and you know what that means....awesome fashion! It's time to break out the sweaters and Uggs. 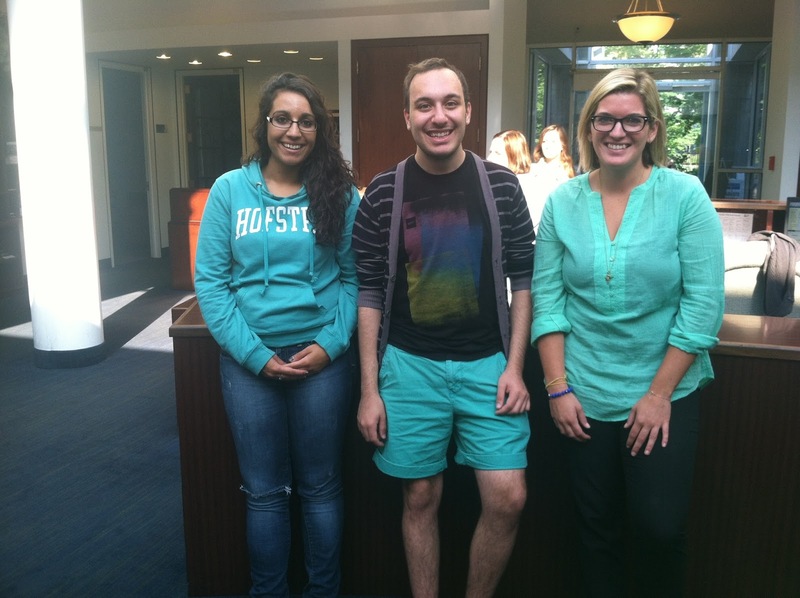 Here in the Office of Admissions we spend so much time together, we've even started dressing alike! In the photo below, Pride Guides Dilpreet Kainth, Lorenzo Rosselli, and Senior Assistant Dean of Admissions Amy Armstrong all chose to wear a lovely shade of teal on a brisk Saturday morning. Don't they look great! Can't wait to see more fashionable students around campus!